Living sea creatures are being captured and sold as keyrings! This is disgusting and should not be allowed!! 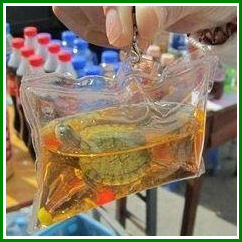 Live fish and small turtles sealed in plastic keychains have become increasingly popular items sold at subway entrances and train stations across China. 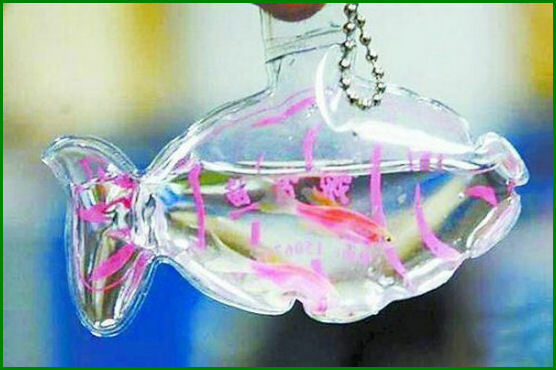 The living keychains containing Brazilian turtles or king fish swimming in colored water are considered good-luck charms by many Chinese, but animal protection groups are outraged and call them a perfect example of “pure animal abuse”. 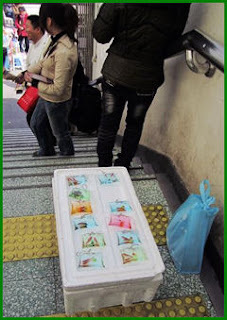 Business is booming according to Chinese online newspaper Global Times, which reports one fish and nine turtle rings have been sold in just five minutes, on Tuesday, at the Sihui subway station, in Beijing. 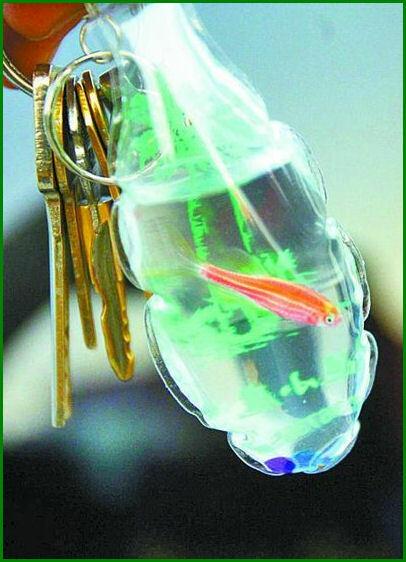 According to vendors, the colored water in the 7-centimeter-long keychains contains nutrients that allow fish and turtles to live inside for months. While that may be true, Mary Peng, cofounder of the International Center for Veterinary Services, says they couldn’t survive in the sealed bag for very long, due to lack of oxygen. While animal rights activists are protesting loudly against the sale of living keychains, there isn’t much else they can do, because China only has a Wild Animal Protection Law – if the animals are not wild animals they fall outside the law’s scope. Until the law changes to protect all kinds of animals, activists can only appeal to people not to buy them, and hope the market will die due to lack of customers. Although some people buy these bizarre keychains to carry around for good-luck, there are those who buy them just to free the poor creatures from their tiny plastic cage.